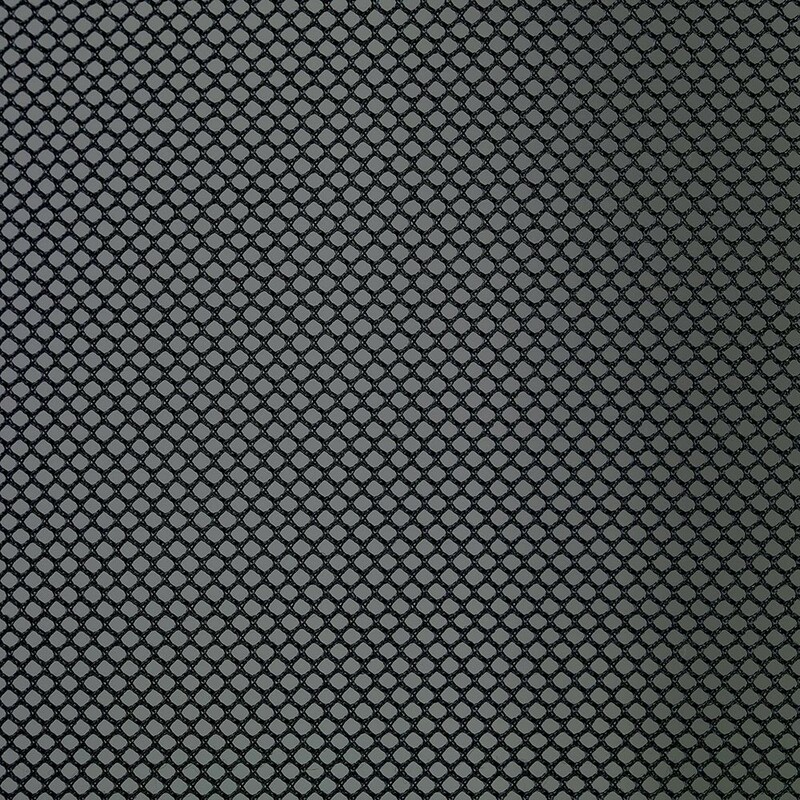 13ft spare trampoline net for round 3,90 m trampoline. Safety is paramount on recreational trampolines. 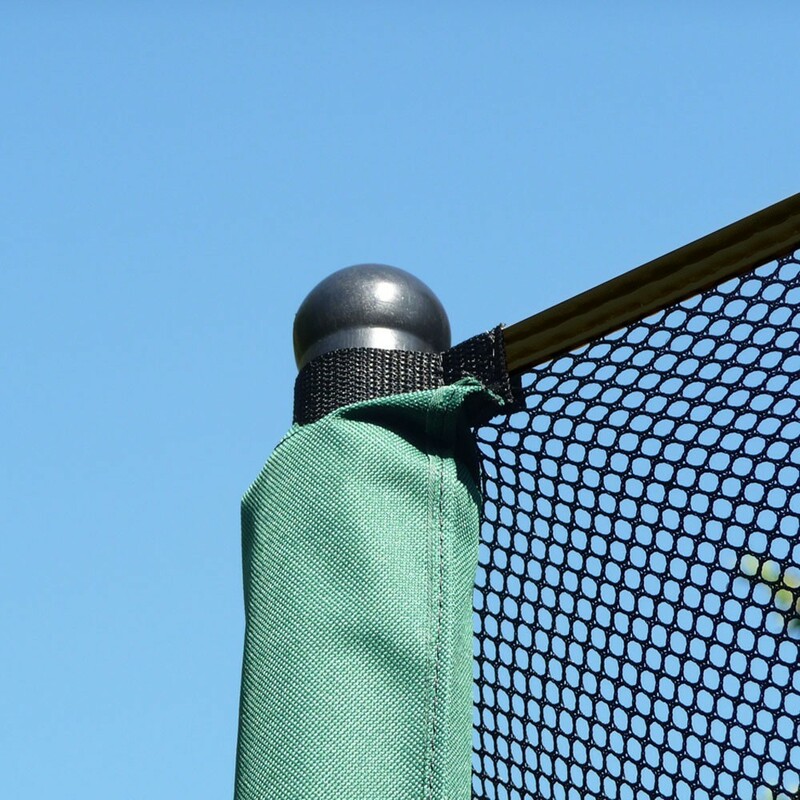 If your net posts are in condition, then no need to change them but if the netting is damaged you must change it quickly. This spare net will be adpated to your trampoline if your trampoline measures 396 cm in diameter and has eight vertical net posts. 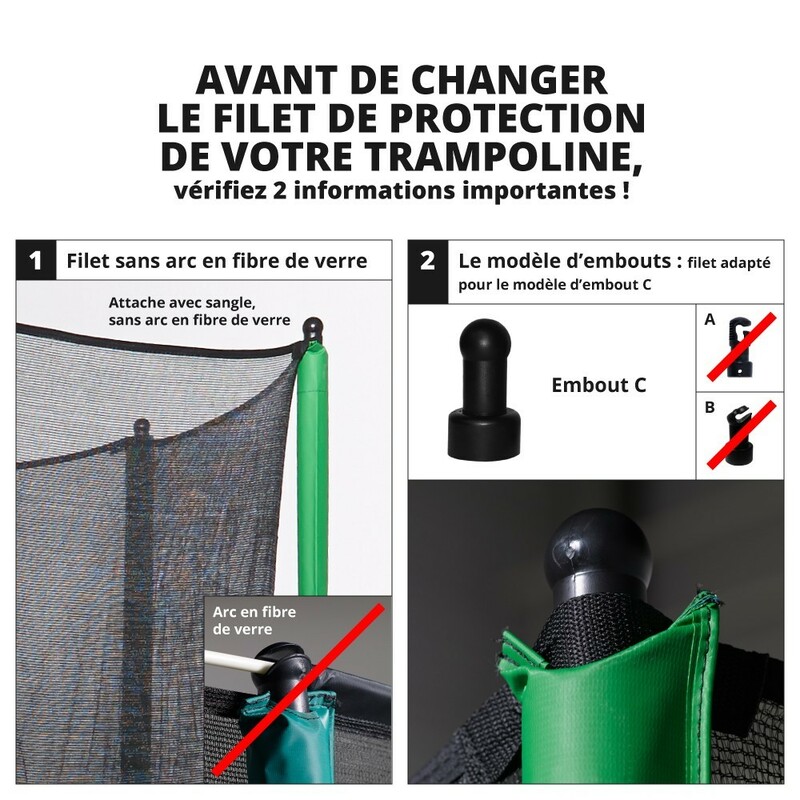 - This enclosure is perfectly adapted to round Jump Up and Booster 390 trampolines but also to all trampolines of 3.96 m in diameter with eight net posts. - This enclosure is made of an extremely robust netting. 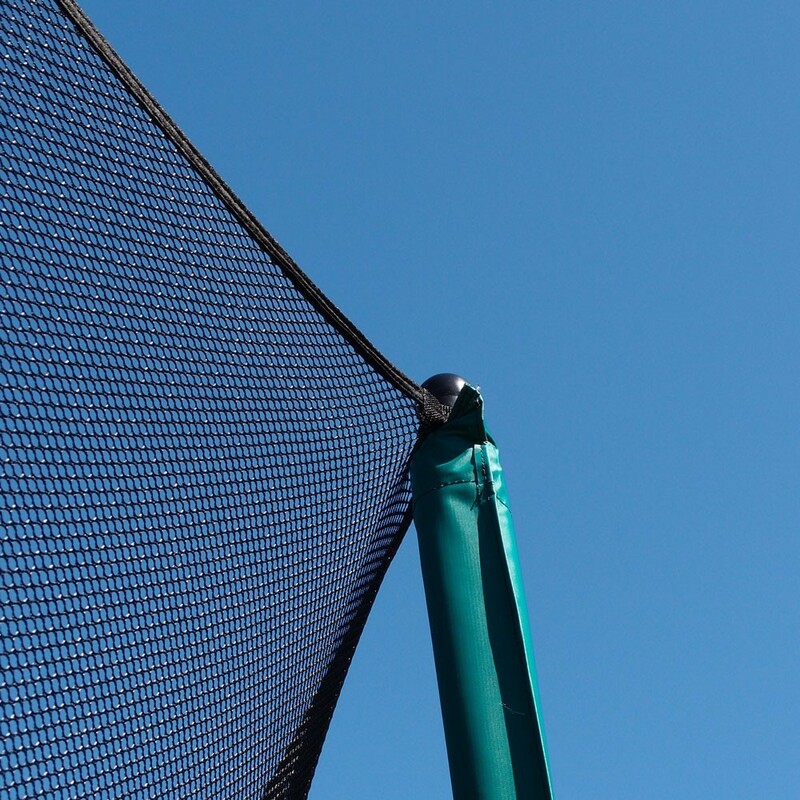 The polyester used has the advantage of being soft and resistant to UV light, contrary to polyethylene netting which can be found on discount trampolines, or cheaper trampolines. The netting is tightl webbing, meaning that children cannot get their fingers stuck in it. 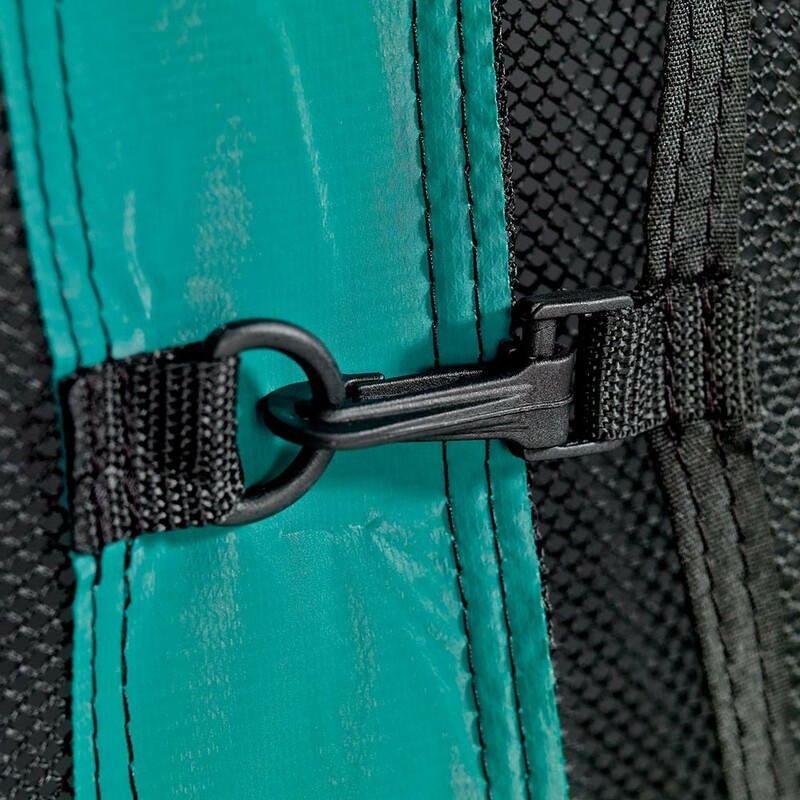 - Access to the trampoline is ensured by a zipped opening in the netting which is highly visible to the eye, thanks to distinctive colourful stitching. This system allows children and parents to rapidly check that the enclosure is correctly closed to prevent any risks. - This net is fixed using straps which are directly attached to the top of the posts over plastic caps. If you do not have this component, do not forget to buy one for each of the net posts, as they are essential to fit the netting to the posts. 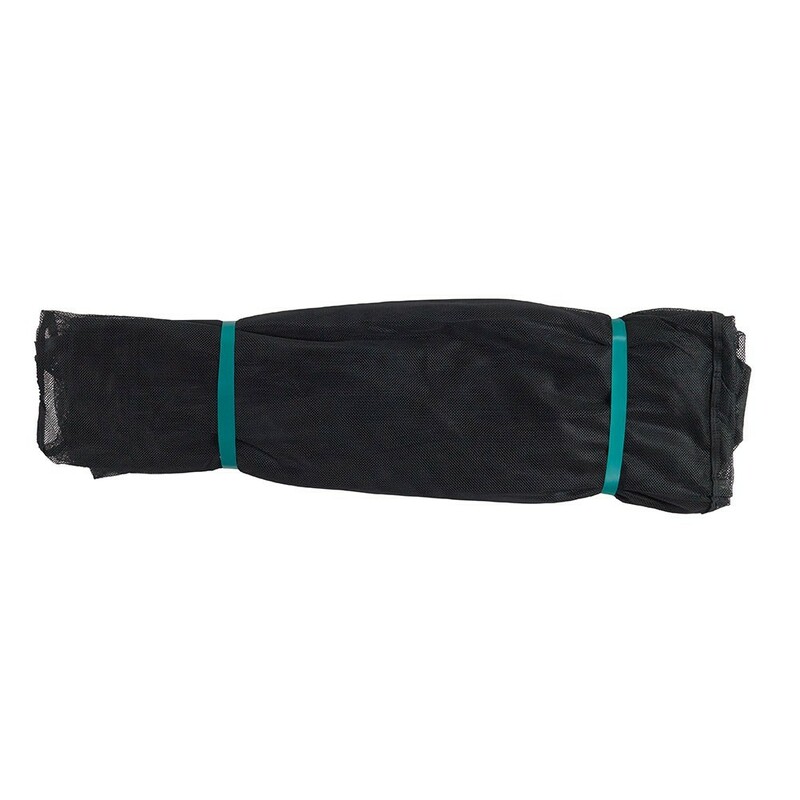 - This new enclosure is fixed under the trampoline using black elastic hooked straps. 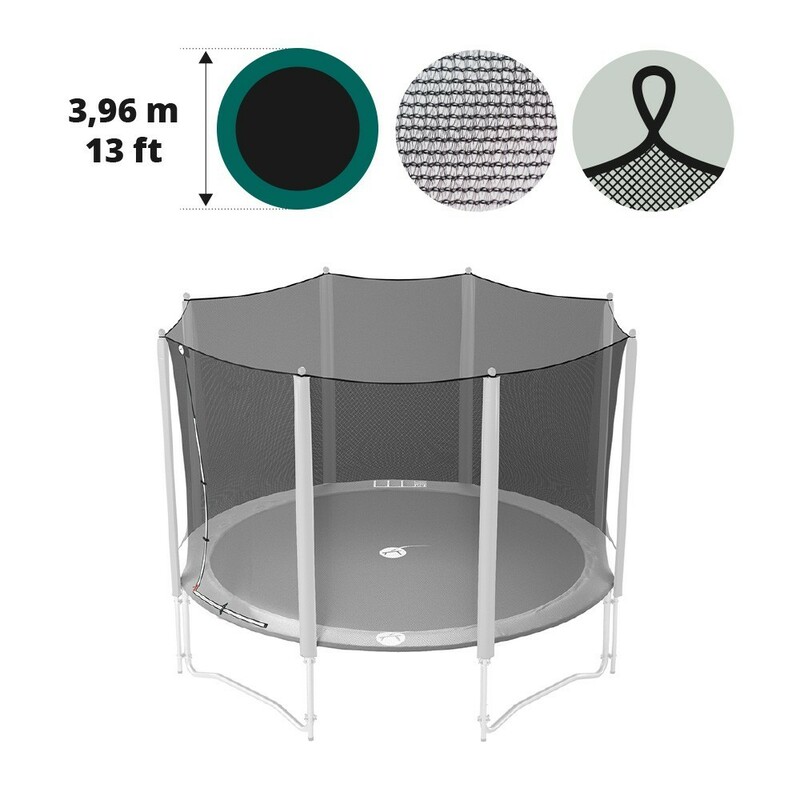 The enclosure must be placed behind the galvanized steel framework of your trampoline, giving better tension and breaking any falls outside of the jumping area. Le filet est nickel par contre les attaches qui se fixent sous la toile ne tiennent pas très bien. Elles se détachent facilement en sautant.